The development of Marine Terminal projects is carried out through an extensive evaluation of the environmental impact, of the expected meteo-marine conditions, of the typology and size of carriers and of the development plans of the existing harbour where the terminal will be integrated, in order to select the most promising configuration. Single Point Mooring, Off Shore Island, Jetty or Berthing facilities alongside a quay are the solution more frequently envisaged. Our marine and structural departments, supported by specific computer programs (ANSYS AQUA, SACS, ORCAFLEX, OLGA, PIPENET and others) are able to develop the design of the systems starting from the definition of the overall architecture, down to the detailed design of the overall system. To define the best offshore terminal arrangement, Tecnoconsult starts from the hydrodynamic study of the structure, in order to define its behavior under the specific site condition; these studies are carried out by means of in house (TECNAV®) and commercial software (ANSYS AQWA®). 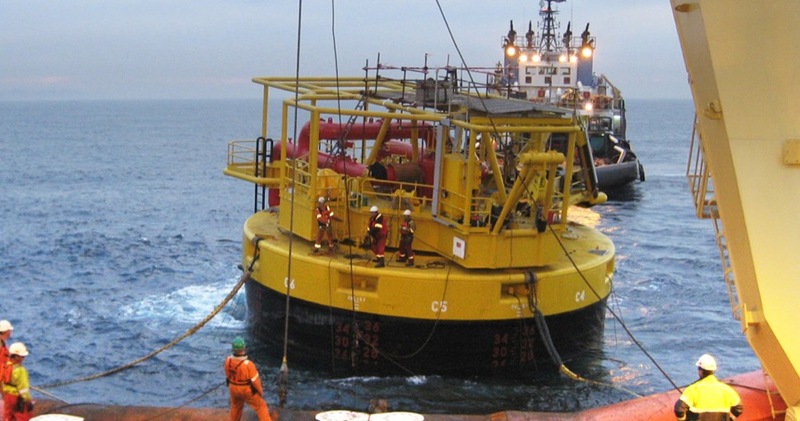 The selection of the most promising concept is carried out performing an extensive time domain simulation with a detailed computer model (ORCAFLEX®), taking into account the mooring line characteristics, the anchor type (HHC, piles, dead weight) and the product transfer hoses. Our approach adhere, but not limited to, the following international codes as API 2SK, API 2F, RINA, OS-E403, DNV-OS-E301, DNV-OS-C301, DNV-OS-E302, DNV-RP-F205, Noble Denton 0030/ND, 0032/ND, 0028/ND, ISO 19901-6, ISO 19901-7, ABS, OCIMF.